Notes: Poison Cross had a short single 50' long corrugated iron faced platform with no shelter on the up side of the line, it had a loop running between the two ungated crossings with a siding trailing off it. 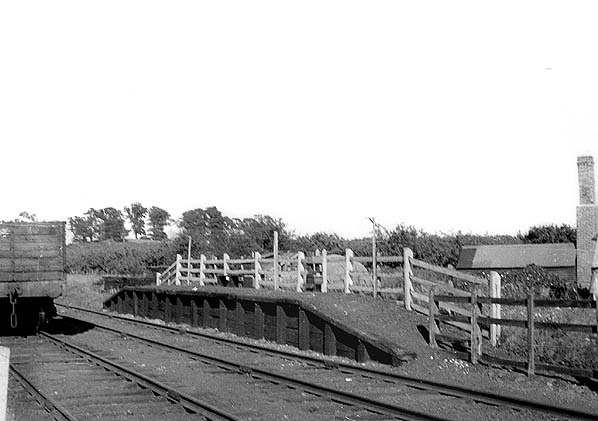 Before the passenger service was introduced the station was known as Eastry (Goods). Initially the halt was open on Saturdays only and it didn't get a full service until August 1926. This service was very short lived, from November 1936 until closure the service was reduced to Wednesday and Saturday only. 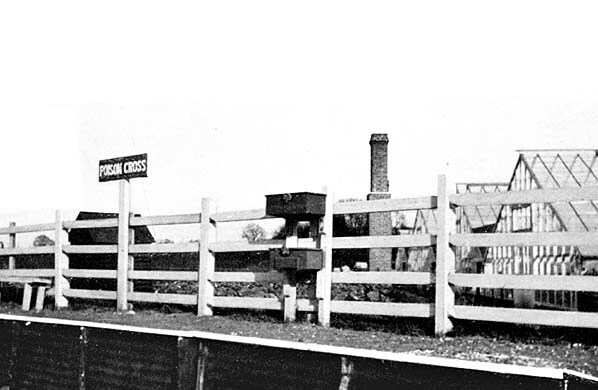 After closure to passengers in 1928 Poison Cross remained open for freight traffic until 1st January 1950. It was originally called the East Kent Mineral (Light) Railways when first proposed in 1909 by a consortium of Kent Coal Concessions Ltd. and other colliery and land owners. A light railway order was granted in 1911 for the 10¼ mile line (later extended by 1 mile); the engineer was Colonel Holman F. Stephens who had recently completed the Kent & East Sussex Light Railway, Colonel Stephens also became locomotive superintendent and general manager. Throughout its life, passenger traffic was very much of secondary importance although apart from coal little else was carried in bulk with only occasional livestock being transported. Apart from the early years there were often no proper passenger trains but a passenger coach attached to a goods train. Since the EKLR had no guard's vans until the 1940's, the passenger coaches performed this function (being independently braked). The East Kent Railway was formed in 1985 with a proposal to preserve the remaining section of line and a programme of shrub clearance began in 1989 after the line was sold to the company for £125,000. 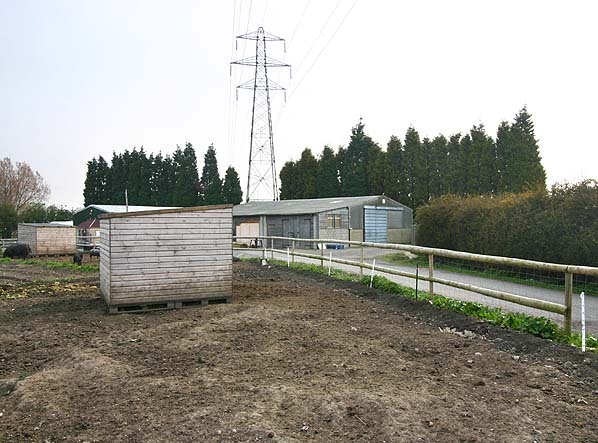 A new replica station was built at Shepherdswell where only the a very degraded platform remained and this has became their base; there is no longer a connection there to the main line. 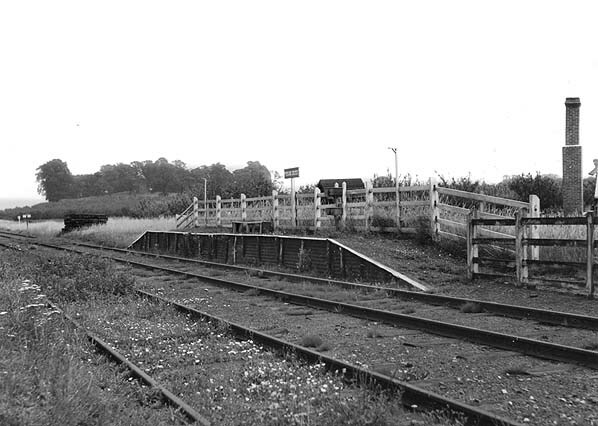 The company was granted a light railway order in 1993 which allowed them to run passenger trains for the first time in 40 years between Shepherdswell and a new station that was later built at Eythorne. In 2003 the EKR became a Charitable Trust. The railway is open every Sunday between April - September and on certain other days during the year. Sources: The bulk of the historical text comes from Wikipedia, the free encyclopedia and Railway Magazine March 1937. To see other stations on the East Kent Light Railway click on the station name: Shepherdswell, Eythorne, Elvington, Knowlton, Eastry South, Eastry, Woodnesborough, Ash Town, Staple, Wingham Colliery, Wingham Town, Wingham Canterbury Road, Roman Road, Sandwich Road, Richborough Port & Tilmanstone Colliery Yard. Although Poison Cross Halt is shown on this 1929 Ordnance Survey map it is shown on the wrong side of Foxborough Hill. This map has been altered for accuracy. Poison Cross in September 1947. Apart from the removal of the nameboard little has changed since closure 19 years earlier. 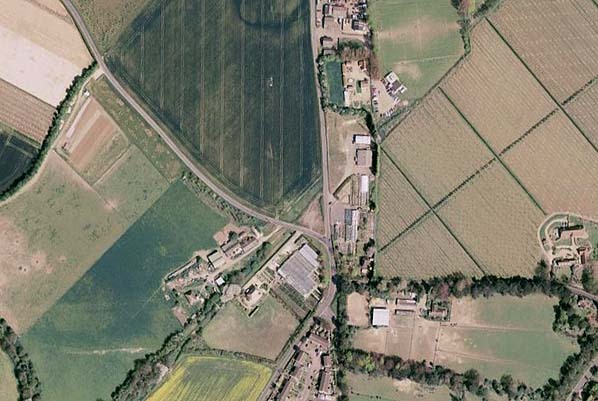 The course of the line is clearly visible running diagonally across this recent aerial view. Poison Cross was between the two roads in the centre of this picture.